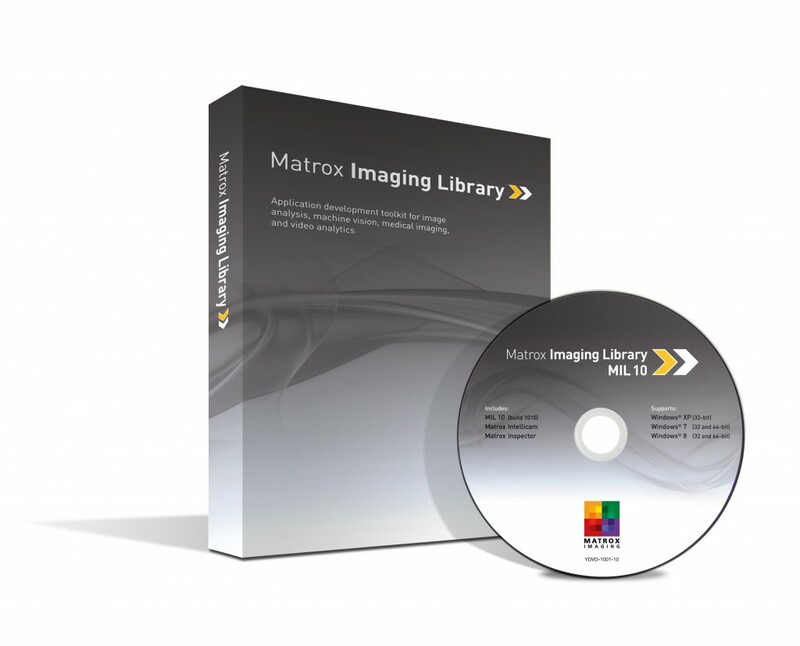 Matrox Imaging Library (MIL)1 is a comprehensive collection of software tools for developing machine vision, image analysis and medical imaging applications. MIL includes tools for every step in the process: from application feasibility, to prototyping, through to development and ultimately deployment. 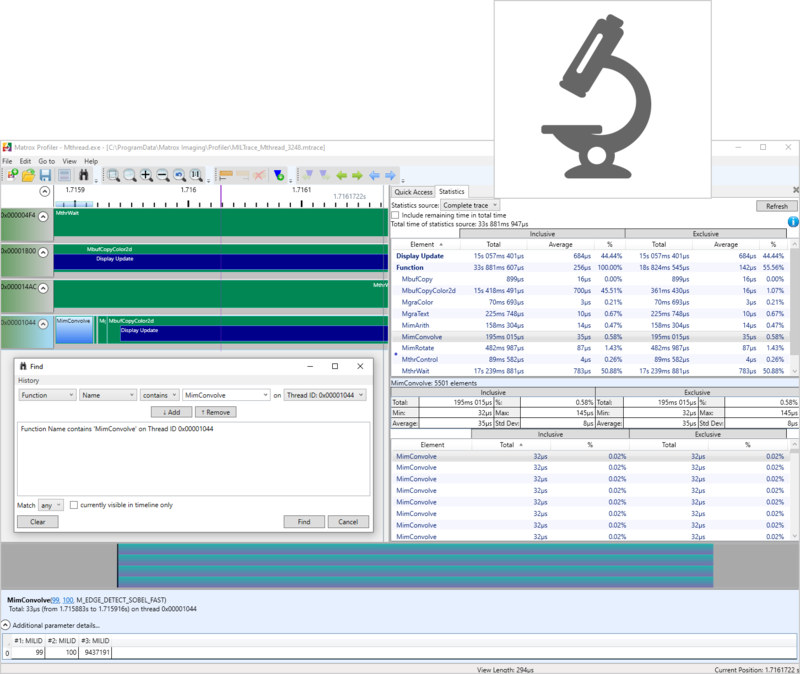 The toolkit features interactive software and programming functions for image capture, processing, analysis, annotation, display and archiving. These tools are designed to enhance productivity, thereby reducing the time and effort required to bring your solution to market. Image capture, processing and analysis operations have the accuracy and robustness needed to tackle the most demanding applications. These operations are also carefully optimized for speed to address the severe time constraints encountered in many applications. 1. The software may be protected by one or more Matrox patents. Matrox SureDotOCR Matrox MIL 10 now offers SureDotOCR among many other Imaging Tools. Matrox SureDotOCR is specifically designed to address the challenges with reading dot-matrix text produced in practice by industrial inkjet printers and dot peen markers at manufacturing line rates. 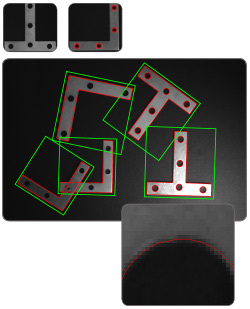 Central to MIL are tools for calibrating, enhancing and transforming images, locating objects, extracting and measuring features, reading character strings, and decoding and verifying identification marks. These tools are carefully developed to provide outstanding performance and reliability, and can be used within a single computer system or distributed across several computer systems. MIL comes with a set of interactive tools to help assess application feasibility, create a prototype and analyze application performance. These interactive tools also further enhance the productivity of application developers. Bundled with MIL is Matrox Inspector, an integrated imaging environment for 32-bit Windows®. Matrox Inspector provides an easy-to-use interface with point-and-click access to MIL image capture, processing, analysis and archiving operations. In addition to displaying images, Matrox Inspector presents processing and analysis results as tables and/or graphs, including trend and distribution, which are useful for tuning operation settings. The application also gives users the ability to benchmark operations for accuracy and repeatability. In addition to making annotations, users can draw into images to perform measurements as well as touch-up and manually segment images. MIL includes a collection of interactive Windows-based utilities for each key image processing and analysis tool. Intended for configuration and experimentation, each tool supports live image capture and processing as well as file I/O for individual or sequences of images. Tooltips over dialog controls provide a convenient cross-reference to actual MIL function calls. MIL includes interactive utilities for configuration and experimentation. Matrox Profiler is a Windows-based utility to post-analyse the execution of a multi-threaded application for performance bottlenecks and synchronization issues. It presents the function calls made over time per application thread on a navigable timeline. Matrox Profiler allows the searching for, and selecting of, specific function calls to see their parameters and execution times. It computes statistics on execution times and presents these on a per function basis. Matrox Profiler tracks not only MIL functions but also suitably tagged user functions. Function tracing can be disabled altogether to safeguard the inner working of a deployed application. 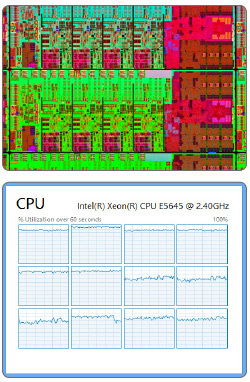 Matrox Profiler application analysis performance tool. i. Partially tested with Windows® Server 2008 R2 and 2012. MIL is available to run natively in IntervalZero’s RTX64 real-time operating system platform for Windows. RTX64 runs on its own dedicated CPU core(s) alongside Windows to provide a more tightly bound deterministic environment. Under this architecture, a developer partitions a MIL-based application to run on RTX64 and Windows. Response-critical parts are performed in RTX64. These include image capture, processing and analysis, and more significantly, output activation and real-time communication. Less response-critical aspects such as image display and file I/O continue to be conducted in Windows. Development for RTX64 is done in C/C++ using Visual Studio and a subset of the Windows API. MIL for RTX64 supports image capture using GigE Vision® and supported Matrox frame grabbers. Distributed MIL’s shared memory protocol is available to efficiently handle communication and data exchange, including images, between a MIL process running on RTX64 and one running on Windows. The required MIL licenses are shared between Windows and RTX64. In addition to image processing, analysis and archiving tools, MIL includes image capture, annotation and display functions, which form a cohesive API. The API and accompanying utilities are recognized, by the large installed base of users, as being helpful to facilitate and accelerate application development. The MIL C API is not only intuitive and straightforward to use but it is also portable. It allows applications to be easily moved from one supported video interface or operating system to another, which provides platform flexibility and protects the original development investment. Included in MIL is a low-overhead API layer for developing Windows® applications within the .NET Framework using managed Visual Basic® and Visual C#® code. MIL supports C# and Visual Basic just-in-time (JIT) compilation and CPython scripting, facilitating experimentation and prototyping. Such code can even be executed from within a MIL-based application, providing a simpler way to tailor an already deployed application. With MIL, a developer does not require an in-depth knowledge of the underlying platform. MIL is designed to deal with the specifics of each platform and provide simplified management (e.g., hardware detection, initialization and buffer copy). MIL gives developers direct access to certain platform resources such as the physical address of a buffer. MIL also includes debugging services (i.e., function parameter checking, tracing and error reporting), as well as configuration and diagnostic tools. MIL configuration and diagnostic tool. MIL supports multi-processing and multi-tasking programming models: multiple MIL applications not sharing MIL data or a single MIL application with multiple threads sharing MIL data. It provides mechanisms to access shared MIL data and ensure that multiple threads using the same MIL resources do not interfere with each other. MIL also offers platform-independent thread management for enhancing application portability. MIL can manipulate data, such as monochrome images, stored in 1, 8, 16 and 32-bit integers, as well as 32-bit floating point formats. MIL can also handle color images stored in packed or planar RGB/YUV formats. Commands for efficiently converting between data types are included. MIL supports the saving and loading of individual images or sequence of images to/from disk. Supported file formats are AVI (Audio Video Interleave), BMP (bitmap), JPG (JPEG), JP2 (JPEG2000), MP4 (MPEG-4 Part 14), native (MIM), PNG and TIF (TIFF), as well as a raw format. MIL lets applications interact directly with automation controllers using the EtherNet/IP™, MODBUS® and PROFINET industrial communication protocols. It also supports native communication with robot controllers from ABB, DENSO, EPSON, FANUC, KUKA and Stäubli. There are many ways to transmit video to an imaging system: analog, Camera Link®, Camera Link HS, CoaXpress®, DVI-D, GigE Vision®, IEEE 1394 IIDC, SDI and USB3 Vision™ 2,3. MIL supports all these interfaces either directly through Matrox Imaging or third-party hardware. MIL works with images captured from virtually any type of color or monochrome source including standard, high-resolution, high-rate, frame-on-demand cameras, line scanners, slow scan and custom designed devices. 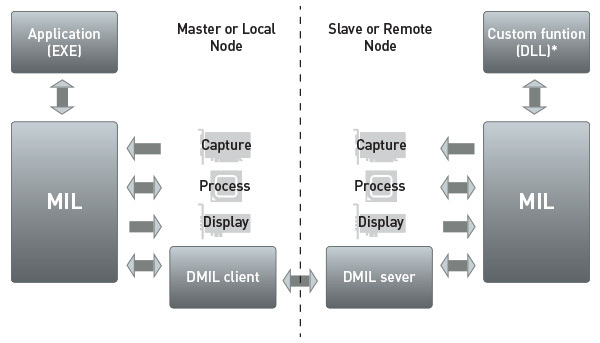 For greater determinism and the fastest response, MIL provides multi-buffered image capture control performed in the operating system’s kernel mode. Image capture is secured for frame rates measured in the thousands per second even when the host CPU is heavily loaded with tasks such as HMI management, networking and archiving to disk. The multi-buffered mechanism supports callback functions for simultaneous capture and processing even when the processing time occasionally exceeds the capture time. MIL features the Matrox Intellicam image capture and frame grabber configuration utility. This Windows-based program lets users interactively configure Matrox image capture hardware for a variety of image sources or simply try one of the numerous ready-made interfaces available from Matrox Imaging. MIL includes Matrox Capture Assistant, a Windows-based utility for verifying the connection to one or more GigE Vision or USB3 Vision™ 3 cameras and testing video acquisition. It can obtain GigE Vision and USB3 Vision™ 3 device information, collect and present acquisition statistics and provide access to acquisition (GenICam™) properties. The gathering and display of statistics can be performed when acquiring within or outside of Matrox Capture Assistant. Matrox Capture Assistant also allows the adjustment of GigE Vision driver settings and provides the means to troubleshoot connectivity issues. 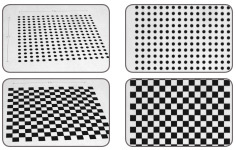 Matrox Assistant GigE Vision® and USB Vision™ 3 configuration and test tool. Matrox Intellicam frame grabber and camera configuration tool. MIL provides transparent image display management with automatic tracking and updating of image display windows at live video rates. MIL also allows for live image display in a user-specified window. Display of multiple video streams using multiple independent windows or a single mosaic window is also supported. Moreover, MIL provides non-destructive graphics overlay, suppression of tearing artifacts and filling the display area at live video rates. All of these features are performed with little or no host CPU intervention when using appropriate graphics hardware. MIL also supports multi-screen display configurations that are in an extended desktop mode (i.e., desktop across multiple monitors), exclusive mode (i.e., monitor not showing desktop but dedicated to MIL display) or a combination. MIL can manage image display across multiple monitors. MIL provides a feature-rich graphics facility to annotate images and define regions of operation. 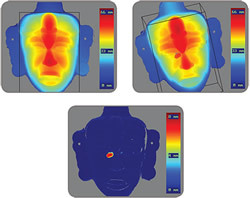 This capability is used by the MIL analysis tools to draw settings and results onto an image. It is also available to the programmer for creating application-specific image annotations. The graphics facility supports different shapes—dot, line, polyline, polygon, arc and rectangle—and text with selectable font. 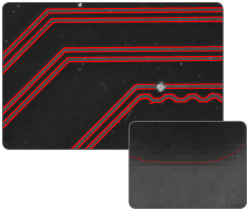 It takes image calibration into account, specifically the unit, reference coordinate system and applicable transformations. The graphics scale smoothly when zooming to sub-pixel. An interactive mode is available to easily allow developers to provide user editing of graphics: add, move, resize and rotate graphic elements. Moreover, the application can hook to interactivity-related events to automatically initiate underlying actions. The graphics facility can further be used to define Regions to guide or confine subsequent MIL analysis operations. Regions can also be repositioned automatically by tying its reference coordinate system to the positional results of a MIL analysis operation. MIL provides a graphics facility to annotate images and define regions of operation. MIL offers a flexible licensing model for application deployment. Only the components required to run the application need to be licensed. License fulfillment is achieved using a pre-programmed dongle or an activation code tied to Matrox hardware (i.e., smart camera, vision system / industrial computer, frame grabber, vision processor or dongle). Some components are pre-licensed with certain Matrox hardware. 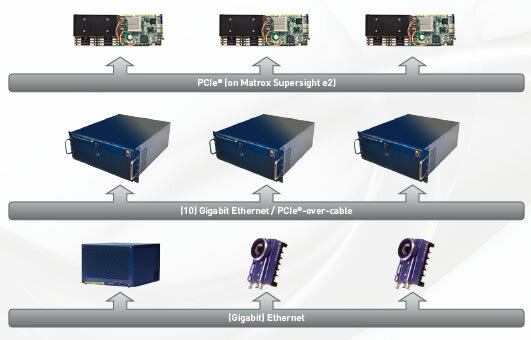 Consult the individual Matrox hardware datasheets for details. The use of Distributed MIL within the same physical system does not require the additional specific license. The installation of MIL can even be hidden from the end user. MIL’s online help provides developers with comprehensive and easy-to-find documentation. The online help can even be tailored to match the environment in use. The online help can be called up from within Visual Studio® to provide contextual information on the MIL API3. Also supported is Visual Studio’s intelligent code completion facility3, giving a programmer on the spot access to relevant aspects of the MIL API. An extensive set of categorized and searchable example programs allow developers to quickly get up to speed with MIL. MIL includes comprehensive and easy-to-find documentation. MIL-Lite is a subset of MIL. 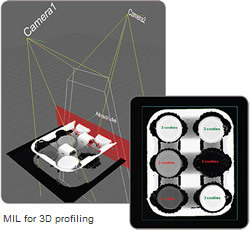 MIL-Lite features programming functions for performing image capture, annotation, display and archiving. It also includes fast operators for arithmetic, Bayer interpolation, color space conversion, de-interlacing, temporal filtering, basic geometric transformations, histogram, logic, LUT mapping and thresholding. MIL-Lite is licensed for both application development and deployment in the presence of Matrox Imaging hardware or a supplemental license tied to a dongle. MIL is a comprehensive collection of software tools for developing machine vision, image analysis and medical imaging software applications. Matrox MIL 10 Development Toolkits and Licenses MIL X WIN P U MIL 10 development tookit for Windows®. Includes DVD with MIL, Matrox Intellicam, Matrox Inspector (32-bit), Matrox display drivers and on-line documentation. Also includes one (1) license USB hardware key and MIL Maintenance registration number. Matrox MIL 10 Development Toolkits and Licenses MIL X DEV U MIL 10 development license USB hardware key. Does NOT include MIL Maintenance registration number. Matrox MIL 10 Development Toolkits and Licenses MIL X DEV U10 MIL 10 10-users development USB hardware license key. Does NOT include MIL Maintenance registration number. Requires network-based licensing client-server software available seperately. Matrox MIL 10 Development Toolkits and Licenses MIL X DEV U20 MIL 10 20-users development USB hardware license key. Does NOT include MIL Maintenance registration number. Requires network-based licensing client-server software available seperately. Matrox MIL 10 Development Toolkits and Licenses MIL X DEV U30 MIL 10 30-users development USB hardware license key. Does NOT include MIL Maintenance registration number. Requires network-based licensing client-server software available seperately. Matrox MIL 10 Development Toolkits and Licenses MIL X DEBUG U MIL 10 debugging license USB hardware key. Also requires MXRT…000_. Matrox MIL 10 Development Toolkits and Licenses MIL X LNX MIL 10 development toolkit for Linux. Includes DVD with MIL and online documentation. Also requires MILXWINPU. Matrox MIL-Lite 10 Development Toolkits MIL LITE X WIN MIL-Lite 10 development tookit for Windows®. Includes DVD with MIL-Lite, Matrox Intellicam, Matrox display drivers and on-line documentation. Also includes MIL-Lite Maintenance registration number. Matrox MIL-Lite 10 Development Toolkits MIL LITE X LNX MIL-Lite 10 development toolkit for Linux. Includes DVD with MIL-Lite and online documentation. Also requires MILLITEXWIN. Matrox MIL/ MIL-Lite Maintenance MIL MAINTENANCE One year extension to the MIL maintenance program per developer. Matrox MIL/ MIL-Lite Maintenance LTE MAINTENANCE One year extension to the MIL-Lite maintenance program. Matrox MIL (Matrox Imaging Library) MIL/MIL-Lite Training “Introduction to the MIL/MIL-Lite Environment” training. 2-day instructor-led training includes a general overview of MIL/MIL-Lite, explains how to set up a development environment, and covers the basics of managing image buffers, image capture and display. Ask for availability. Matrox MIL (Matrox Imaging Library) MIL PROC TRAIN “Matrox Imaging Library (MIL) Processing” training. 3-day instructor-led intensive training explains how to select the best image processing tools for an application and demonstrates how to use them to their full potential. Students will have an opportunity to discuss the specifics of their project with MIL developers. Ask for availability. Matrox MIL (Matrox Imaging Library) MIL ALL TRAIN “Introduction to the MIL/MIL-Lite Environment” and “Matrox Imaging Library (MIL) Processing” 5-day instructor-led training. Ask for availability. Matrox MIL (Matrox Imaging Library) MIL 10 Run-Time Licenses MIL 10 run-time software license key. The user must supply lock code obtained from MIL License Manager application/page. 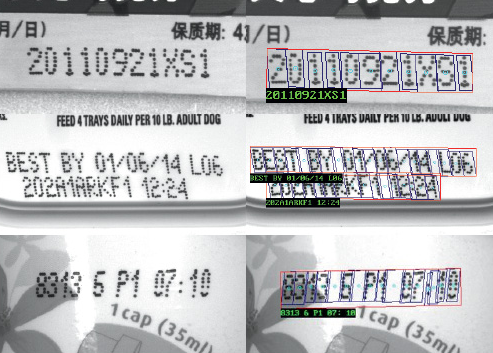 This unique lock code identifies the target computer system and MIL package(s) to license. Note: Combine packages by substituting 0 at the appropriate position x with the appropriate letter or other digit. Upgrading is only possible from MIL 9 and requires an upgrade lock code. Software License Keys MXRT x x x x x x x x 00 MIL 10 run-time software license key. The user must supply lock code obtained from MIL License Manager application/page. 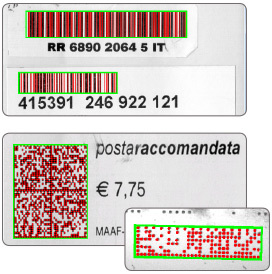 This unique lock code identifies the target computer system and MIL package(s) to license. Note: Combine packages by substituting 0 at the appropriate position x with the appropriate letter or other digit. Upgrading is only possible from MIL 9 and requires an upgrade lock code. Software License Keys MXRT A 0 0 0 0 0 0 0 00 MIL 10 image analysis package. 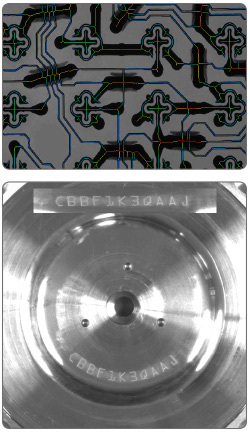 Includes Image Processing, Blob Analysis, Bead Inspection, Measurement and Calibration modules. Software License Keys MXRT M 0 0 0 0 0 0 0 00 MIL 10 machine vision package. Includes Image Processing, Blob Analysis, Bead Inspection, Pattern Matching (NGC-based), Measurement and Calibration modules. Software License Keys MXRT 0 I 0 0 0 0 0 0 00 MIL 10 identification package. Includes OCR and Code Reader modules. Software License Keys MXRT 0 C 0 0 0 0 0 0 00 MIL 10 String Reader and SureDotOCR package. Software License Keys MXRT 0 2 0 0 0 0 0 0 00 Both MXRT0I00000000 and MXRT0C00000000. Software License Keys MXRT 0 0 J 0 0 0 0 0 00 MIL/MIL-Lite 10 image compression package. Includes JPEG, JPEG2000 and H.264 codecs. Software License Keys MXRT 0 0 B 0 0 0 0 0 00 Both MXRT00J0000000 and MXRT00T0000000. Software License Keys MXRT 0 0 0 G 0 0 0 0 00 MIL 10 Geometric Model Finder package. Software License Keys MXRT 0 0 0 E 0 0 0 0 00 MIL 10 Edge Finder package. Software License Keys MXRT 0 0 0 2 0 0 0 0 00 Both MXRT000G000000 and MXRT000E000000. Software License Keys MXRT 0 0 0 0 S 0 0 0 00 MIL/MIL-Lite 10 interface (GigE Vision®, IEEE 1394 IIDC and USB3 VisionTM) package. 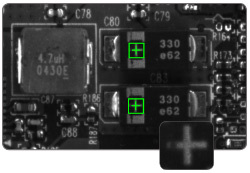 Required if using a third-party NIC, IEEE 1394 adaptor or a USB 3.0 port on a third-party PC. Software License Keys MXRT 0 0 0 0 D 0 0 0 00 Distributed MIL/MIL-Lite 10 package for master or slave node. Software License Keys MXRT 0 0 0 0 B 0 0 0 00 Both MXRT0000S00000 and MXRT0000D00000. Software License Keys MXRT 0 0 0 0 0 R 0 0 00 MIL 10 Registration package. Software License Keys MXRT 0 0 0 0 0 3 0 0 00 MIL 10 3D calibration and reconstruction package. Software License Keys MXRT 0 0 0 0 0 2 0 0 00 Both MXRT00000R0000 and MXRT0000030000. Software License Keys MXRT 0 0 0 0 0 0 Y 0 00 MIL 10 Metrology package. Software License Keys MXRT 0 0 0 0 0 0 Q 0 00 MIL 10 Color Analysis package. Software License Keys MXRT 0 0 0 0 0 0 B 0 00 Both MXRT000000Y000 and MXRT000000Q000. Software License Keys MXRT 0 0 0 0 0 0 0 Z 00 MIL 10 industrial and robot communications package. Software License Keys MXRT 0 0 0 0 0 0 0 N 00 MIL 10 Classification package. Software License Keys MXRT 0 0 0 0 0 0 0 2 00 Both MXRT0000000N00 and MXRT0000000Z00. Software License Keys MXRT M 2 B 2 B 2 B 0 00 All MIL 10 packages (excluding industrial and robot communications). Software License Keys MXRT M 2 B 2 B 2 B Z 00 All MIL 10 packages (as of MIL 10 Update 38, MIL 10 R2 for Windows® or MIL 10 Processing Pack 2). Software License Keys MXRT M 2 B 2 B 2 B 2 00 All MIL 10 packages (as of MIL 10 Processing Pack 3). Hardware ID Keys MILRTIDCMC MIL/MIL-Lite run-time USB hardware fingerprint and license storage. Replaces Matrox Imaging hardware as the fingerprint used to generate the unique system code. MXRT…00 still required. Hardware License Keys MXRT x x x x x x x x 00 U Pre-programmed MIL/MIL-Lite 10 run-time USB hardware license key that enables appropriate package(s) (see Software License Keys for available selections and prices). Alternative to MXRT…00.